What Is A Pasmo Card? 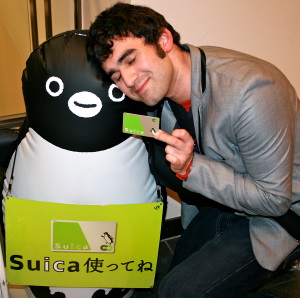 What is a Suica Card? 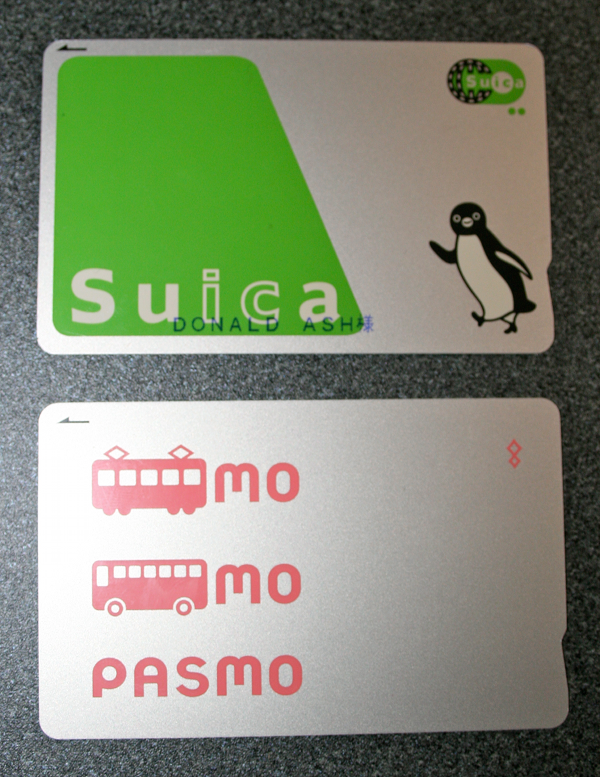 The Suica and Pasmo Cards! If you’re a foreigner in Japan, even if you have an international driver’s license* , you will take a train at some point while you’re here. Having a car is cool, but there are times when riding a train is faster and more convenient. I actually don’t have an international license and the majority of the foreigners that I’ve met don’t either (I’m looking into it, though, just in case I want to rent a car and go for a drive sometime). For the most part, the people I know who have them, have have lived in Japan for quite some time, are married and have families here, or both (there are exceptions of course). The cool thing about Japan is that, by and large, you’ll be okay without ever having to get behind a steering wheel. So if you’re not using a car to get from place to place, what do you use? For many, the answer is trains. I had my first Japanese train experience with the train almost as soon as I got off of my 12-hour flight from Hartsfield in Atlanta. The AEON trainers who met me at the airport escorted me around on my first day and pretty much took care of everything. I didn’t really have to worry about buying train tickets or figuring out how to ride. But eventually I ended up having to ride the dreadful Japanese train all by myself. Riding the train by myself for the first time made me nervous…more so because of my sense of direction than anything. As I began to ride more and more, using trains went from being a “dreadful” challenge to being pretty mundane. I went for nearly a year-and-a-half using my little tickets to get from train station A to train station B; I was pretty content with that, too. However, I would always see many of the Japanese commuters using some type of wizardry to ride the trains. They would touch wave their hands over the ticket gate, maybe even say some magic words, and go right through. They weren’t always having to go and buy tickets like I was. Their method looked so much easier than mine. It turned out that the Japanese commuters & train riders weren’t using magic at all, but these special cards created by the JR (Japan Rail) to make make train rider’s lives a lot simpler. Enter the PASMO. Enter the SUICA. 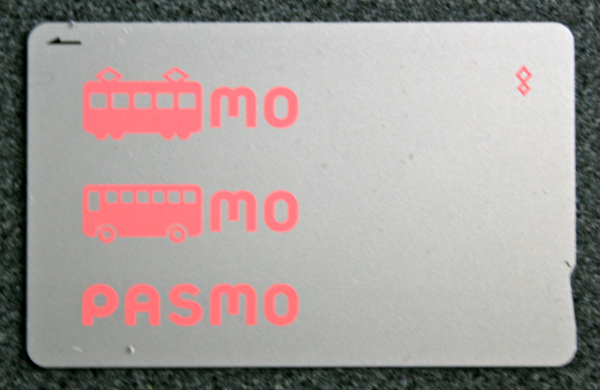 The Pasmo is a type of transportation charge card. There are train station machines that issue them for a small fee, 1000 yen to be exact (500 yen for the card + 500 deposit that you can use immediately)). Once you have this card you can add value to it preventing you from having to go through the hassle of purchasing train tickets over and over and over again. The card makes use of an IC chip (integrated circuit) or microchip that allows you to simply touch your card to a sensor panel on the ticket gate and go through (it does look like magic, though). The Suica Card. Notice how the machine printed my name on this card. It's totally free to do this, and should you lose your card, it's simple to have another one re-issued. 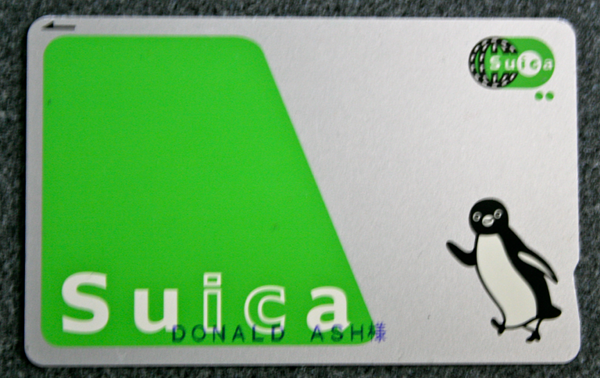 The Suica is Japan’s other type of IC-based, transportation charge cards. In similar fashion, you can purchase one of these cards from a train station machine for 2000 yen (500 yen for the card + a1500 yen deposit that you can use immediately). You can add value to these cards using JR machines. What additional function does a Pasmo/Suica card have beyond allowing you to ride trains more easily (please choose the best answer)? Let’s go over the answers. A.Can a Pasmo or Suica be used as a shuriken (i.e.-ninja star)? I’m pretty sure they could be…in the right hands. B is out, I don’t think they’ll make very effective razors unless you push REALLY REALLY hard (but I think your skin may come off, too..ewww). D? Please don’t put your Pasmo or Suica into an ATM. E? Please don’t try that either, you’ll sink faster than Iron Man at a water park. The best answer is C, Pasmo and Suica cards can be used to make purchases at shops and from select vending machines. What are the Differences Between a PASMO and a SUICA card? Aside from the Suica card looking a lot cooler (in my opinion anyway) there aren’t a whole lot of differences. They are both charge cards that do essentially the same thing. There are however some train rails that don’t use Suica and others that don’t use Pasmo. I do have both types of cards, but more often than not, I use my Pasmo because it’s the card I got first. My PASMO is the card that my commuter pass (teikiken (ていきけん/定期券)) on the Tsukuba Express is linked to. Although It may not look as cool as a Suica card, it’s compatible with JR East Ticket gates, so that’s good enough for me. I don’t think Japan Rail West uses Pasmo and Suica, which is why you have to buy separate Shinkansen tickets when going to places like Kyoto and Osaka. I do believe they’ll change that eventually, though. As far as making purchases goes, the stores that accept Suica cards also take Pasmo. Vending machines are similar, they generally accept both types of cards.